We are hobby breeders dedicated to raising quality Cockapoos in our home. Our home is located roughly one hour from Washington, DC, and Richmond, VA, in Fredericksburg, VA. All of our dogs live in a family homes. 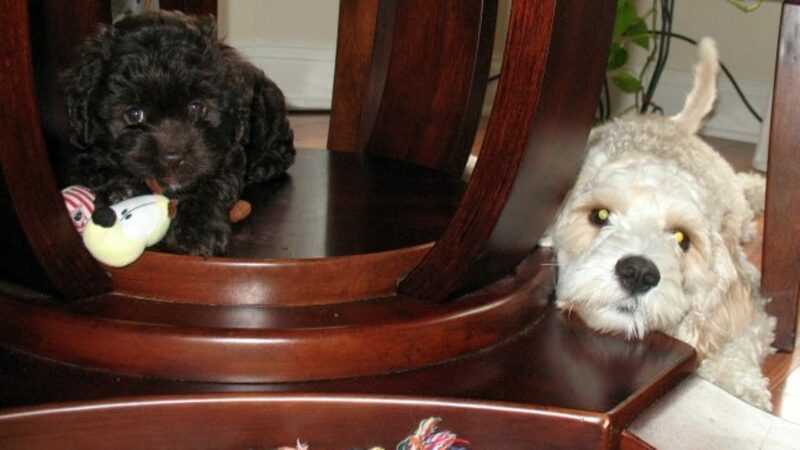 They are registered with the American Cockapoo Club (ACC). Our breeding dogs are 1st and 2nd generation and we produce 2nd generation puppies. Making sure all our dogs are in loving homes is a priority so some of our breeding adults are in guardian homes. Some of our puppies have even been housed with other breeders! 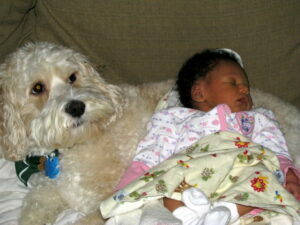 Reese lives with her loving family and future breeder in PA.
Duke guarding our first born human baby. 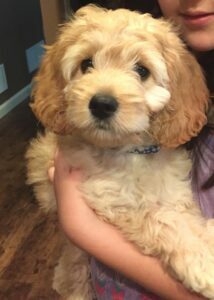 We got our first cockapoo, Duke, in 2005. He was a wonderful boy! Loving, super smart, the sweetest, gentlest disposition, always wanting to please, great with children and other animals, and very family oriented. He was our first child before we had children! We knew after getting him that we wanted to breed cockapoos for other families! Our dogs are properly socialized with children, cats, and other dogs and ready to become a part of your family’s adventures. Each puppy is a part of our family from the start just like our dogs. We are a small hobby breeder and only have a litter of puppies once or twice a year. All puppies are priced at $1500. We DO NOT ship our puppies at this time. However, we will meet within a 3 hour drive for a fee. Occasionally pick up is available the Raleigh, NC, area as my sister lives there with our Retired Mom, Madison. If you are interested in becoming a part of the Duke’s Cockapoos extending family, contact us to find out more information. Finn lives in NC. 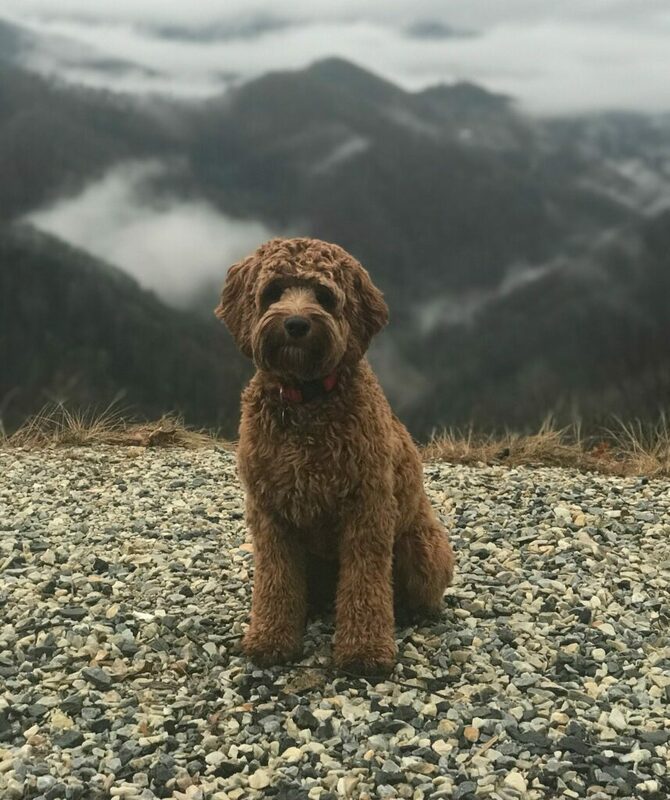 His family takes him on adventures to the Mountains!